Hultafors of Sweden. Making Axe's since 1697~Yes..1697!! The hand axe, is actually THE tool of the backwoodsman. Much more than the periodic woodsplitter of the campsite, the hand axe was often the only tool carried by hunters/trappers and voyageurs. 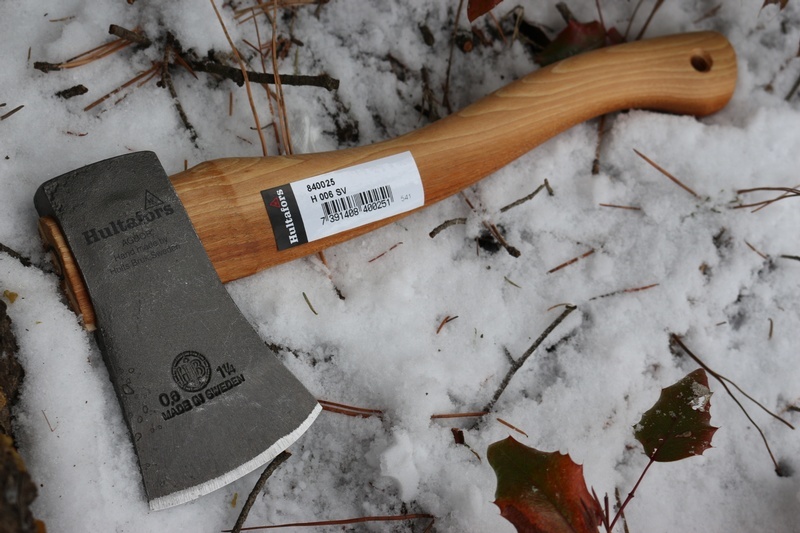 An Axe, a good axe, can complete almost any cutting task… and then some. An Axe, a good axe, a balanced, SHARP,crafted Axe, is a delight to use and carry. The hand forged Axe’s are much lighter than the drop forged type and each Axe comes with a full grain leather head cover. To my way of thinking, everything, every 0Z you carry has to pay its way, and the weight that a good belt Axe adds is worth the effort. 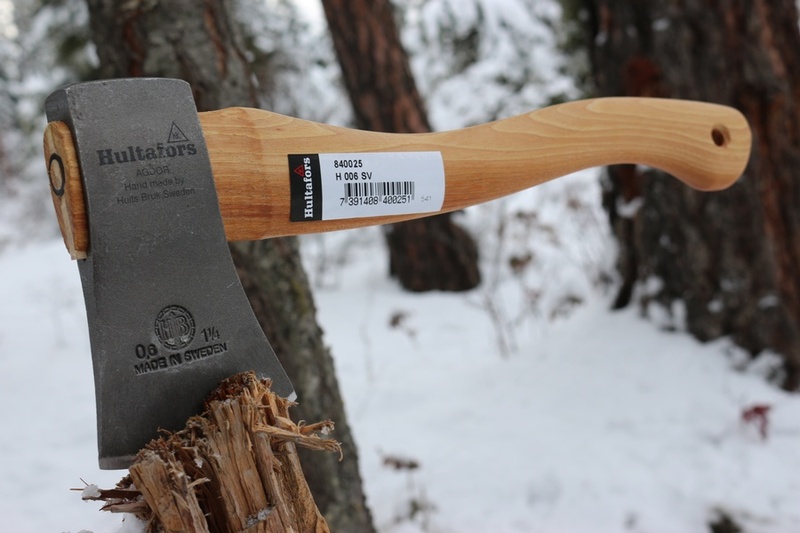 You will use a lot more energy in splitting firewood than you would carrying the Axe, and it can be used as a backup knife if required. 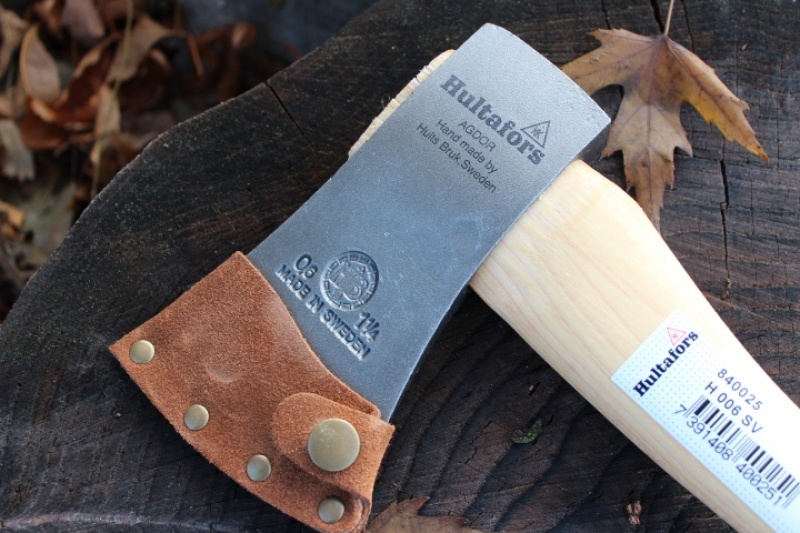 Purchase through PayPal by using the "Add To Cart" button above or use the form below to order the Hultafors Forest Hatchet . 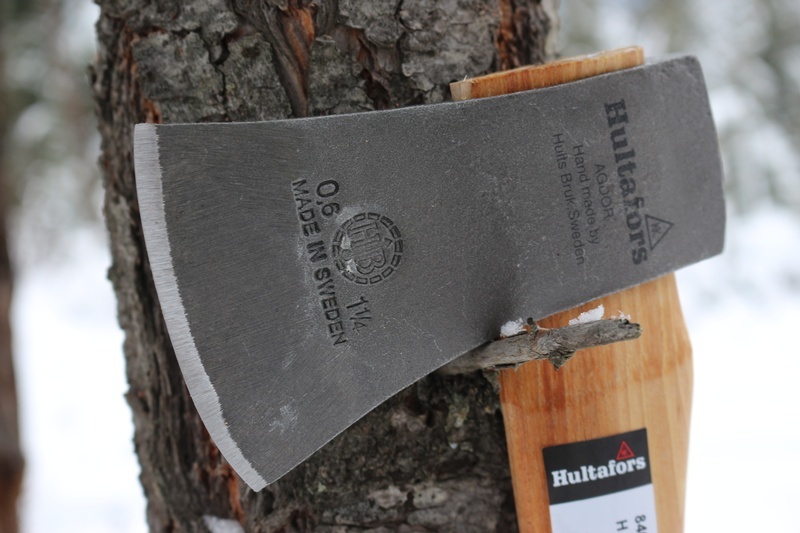 Feel free to contact us if you have any questions about the Hultafors Forest Hatchet .